I love the colors in your pink and orange socks. Both say "spring." 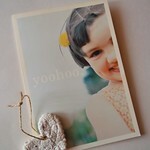 Looking forward to meeting a new indie dyer next week! Love the orange socks. What is the yarn and what's the name of the pattern? How very sweet and thoughtful of your friend! My husband caught it last week, and shared it with me. It has been epic indeed! Today we both felt better enough to venture out and get Pho for lunch. I think that helped! that orange yarn is super squishy looking :) I am happy that you have windows opened, not so here. We have rain and more rain...oh well. I'm sure the weather will change eventually!! 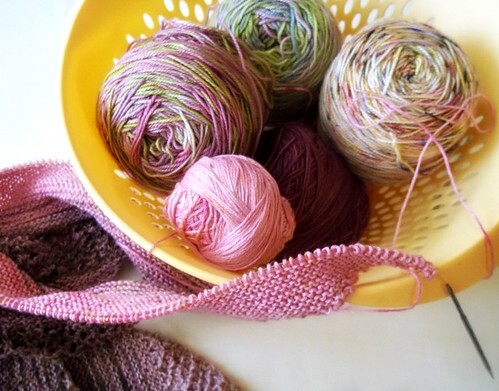 Such pretty yarn. Love that bright pop of color. 60 and windy here. Let's switch! (Seriously) plus your house probably has a bigger stash than mine so win for me! Wink. 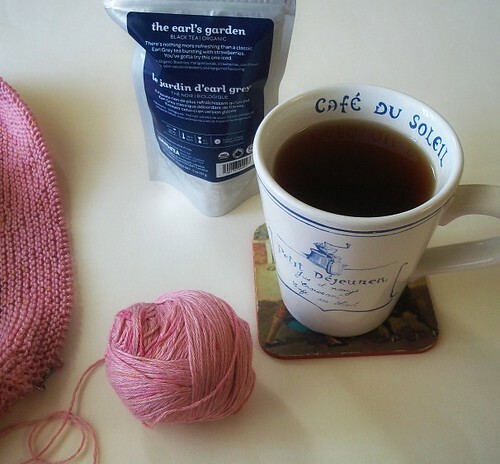 All your knitting and tea looks glorious. I hope that cold bites the dust soon. No fun! Love to you! Great colors for Summer! Looks like lots of great tea! Hope you get well fast! Its no fun being sick! that video is a total hoot!!! thanks for sharing!!! hope your week is lovely!!! Oh my goodness, 107 sounds terrible! We've been in the mid-high 80s the past couple of days and I'm melting! It's supposed to cool off here the next few days though and stay below the mid 70s. Those orange socks look like they tick every one of my boxes, I can't wait to hear more about them- and about the May Indie Dyer! My week seemed to drag, and ended unexpectantly. All the things I expected to happen this past weekend didn't happen the way I wanted them to. Funny how we build things up in our minds and then things change in an instant. 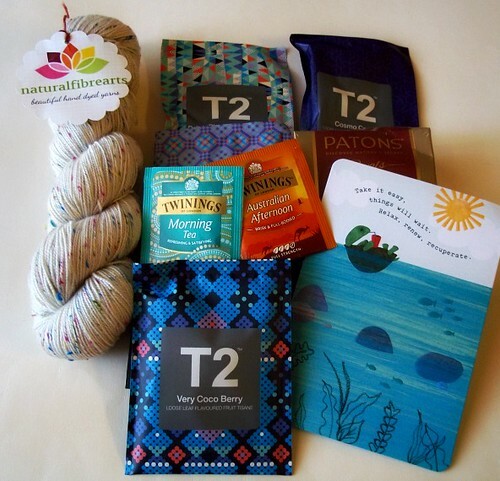 I love your knitting and tea collection, both seem so lovely. Thank you for sharing Andi. The sock looks so nice, I like the pattern and lace details. I love David's Tea too! 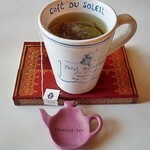 I have been drinking their zesty green tea and a couple more but I will be trying some more soon. 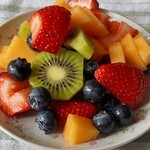 That is sweet your friend gave you a care package, glad you are feeling better. That pink Fade looks smashing ! The orange socks do too, makes me very curious about next weeks' post. Taking it slow and relaxed is the way to go. 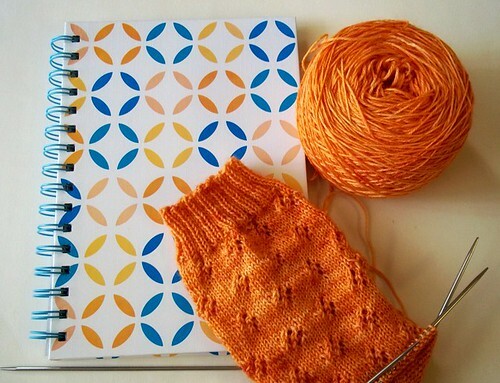 Love the orange socks and can't wait to find out more about the indie dyer behind it. 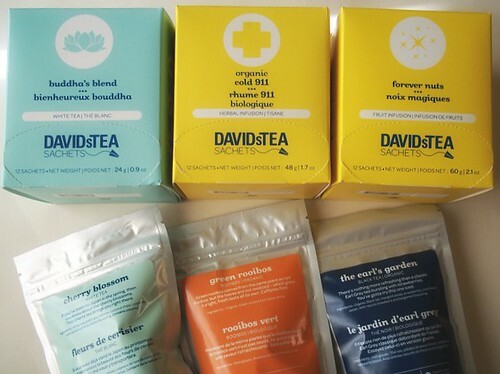 David's Tea Buddha Blend is my favourite tea ever!! I love it, even just taking a big sniff of the canister/bag when I open it in the morning sends me to heaven. And the Cold 11 is brilliant when you feel a cold coming on, it really is excellent. I love your creamsicle-coloured sock, looks very appropriate for the hot weather you've been having! And I love that video. More men should learn to knit! Those orange socks are a dream! I have a bright pink yarn that would be awesome in that pattern I think. You must reveal the pattern name! !